For repairs and alterations often use sheets of drywall. Using this inexpensive building material, it is possible to align the surface and also make archways or multi-level ceiling. Buying materials for repair and finishing works, you need to be sure that they will not bring harm to health of residents. Here the question arises, whether the harmful drywall in the apartment? And if the harm from it is, in any case? To accurately answer this question, we need to review the material thoroughly. Plasterboard is an environmentally friendly construction material, which has zero natural radioactive background. They consist of several parts – two layers of cardboard, and between them a thick layer of plaster. In the composition there are other components that can improve the operational properties of the material. After the plaster composition is prepared, it is poured between two sheets of cardboard. According to GOST for this purpose cardboard, whose density ranges from 0.17 to 0.22 kg/m2. Once the gypsum layer is completely filled, the edges of the cardboard a little bent, forming a protective edge. This part prevents spillage of material during storage or transport. End up environmentally friendly leaves that have been successfully applied to align the walls and ceiling surfaces, as well as dressing rooms. You should know that the chemical composition of the gypsum filler is dependent on the brand of sheets that you want to make. Different additives give the sheets of drywall moisture proof and fire resistant characteristics. Standard. This is a classic drywall, which has the usual characteristics and qualities. By production of such material not used various additives so it is completely safe for health. 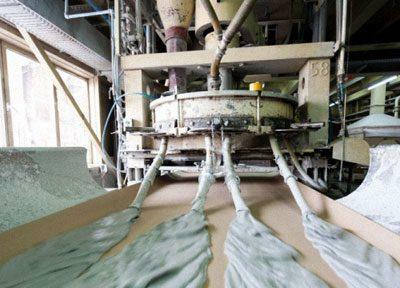 This material is used for the decoration of rooms with normal humidity and temperature. Fire-resistant. 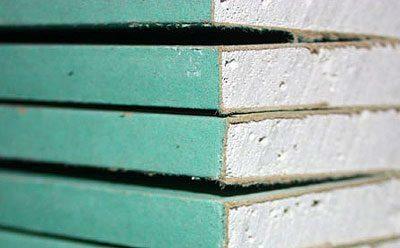 In these plates there is a special layer of fiberglass that protects the material from exposure to an open fire source. Even when burning such a building material is not released into the air toxic substances, releases only carbon monoxide gas, which is always there in case of any fire. 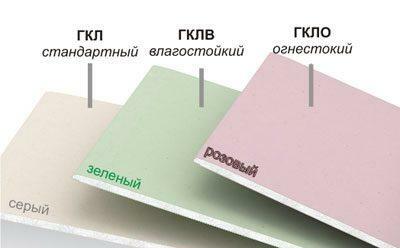 These gypsum boards are used in buildings where high fire risk. Agrilogistics. Are characterized by the same properties that are fire-retardant and moisture-resistant plates for manufacturers use the same additives. Absolutely all substances that are added to the plaster layer should correspond to GOST. Their composition must not be harmful and toxic substances as well as heavy metal particles. Based on this information we can say that the drywall is safe to use in the apartment. But in some cases it may still pose a threat to human health. Distinguish drywall for interior and exterior use, material selection should take into account this factor and not to neglect them. Despite the fact that the material is actually environmentally friendly, it in some cases may lead to disturbance of health in humans. It mostly happens if violated the conditions of storage or use. When buying plasterboard, you need to carefully read the instructions to this material shows all the characteristics and peculiarities of storage and transportation. To prevent dust from landing on the mucous membranes of the respiratory tract and eyes while you work use safety glasses and a respirator. If the standard leaves used for decoration of premises with high humidity, on the walls there is a risk to the health of the fungus. This situation occurs very often indeed is harmful for the health of the occupants. 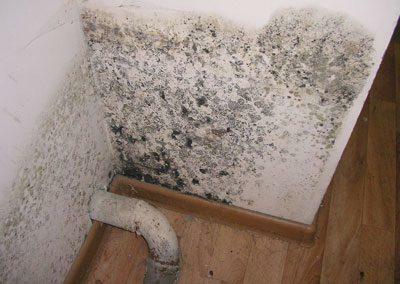 The mold spores are always present in the air, cause persistent allergic reactions, and inhibit the immune system. Due to this, people often start and hard to hurt. When purchasing cheap plaster boards Handicrafts, you can get poisoned. In Chinese discount building material can be formaldehyde and phenol. When mounting inside the apartment of such sheets, the whole family is in danger of being intoxication. Construction gypsum is considered absolutely safe for humans under normal conditions of storage and use. When buying drywall a must-see certificate for the goods. If the seller is not, something of a questionable purchase should be abandoned. Need to buy sheets with the highest white middle. If the color of the gypsum is greyish or pink, this indicates a low quality gypsum. The gypsum should fit snugly to the cardboard layers. The cardboard should be no blistering or other damage, the surface should be smooth. To buy a building material is only in the case that he has a quality certificate. Must properly store plates. After purchase they should not immediately installed, you need to give a few days to adapt material to the specific climate of the room. When mounting the sheet to adhere to the technology and to use personal protective equipment. It is hard to imagine a major overhaul without the use of plasterboard. Through this material line the walls, ceilings and arches and columns. And although specific rumors about the harmfulness of drywall in the people do not go, some people sometimes have fears, they won’t do this material injury. We can say that in the technology of production and installation of this material a health hazard shall not be.